Heritage, Innovation, and Trust All Come Standard from CRP Automotive. 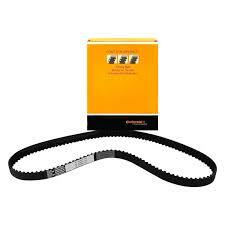 ​Depending upon the type of engine, timing belt failure could result in costly and in some cases, irreparable damage. Since timing belts endure a lot of wear and tear, professional repair technicians can't afford to trust a sub-standard part to do the job. The latest addition to our innovative line of timing belt kits. The Black Series provides a competitive-priced kit option for the high-mileage segment while providing your customers with high-quality parts from a trusted name. In 2007, CRP Automotive proudly introduced the Pro Series ContiTech Timing Kits complete with timing belt, tensioners (hydraulic when applicable), idlers, and a water pump.